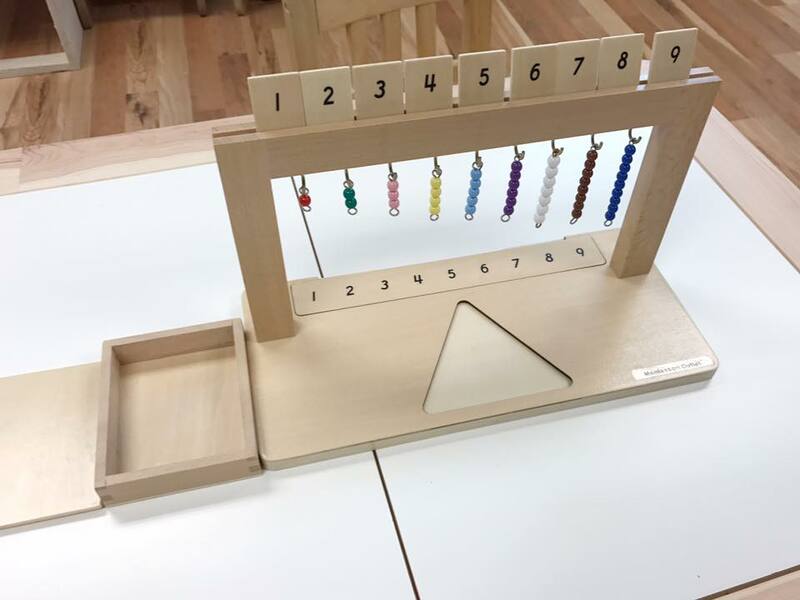 master the numerical understanding of the numbers 1 through 9.
that will be used in more advanced Montessori works as they continue learning. 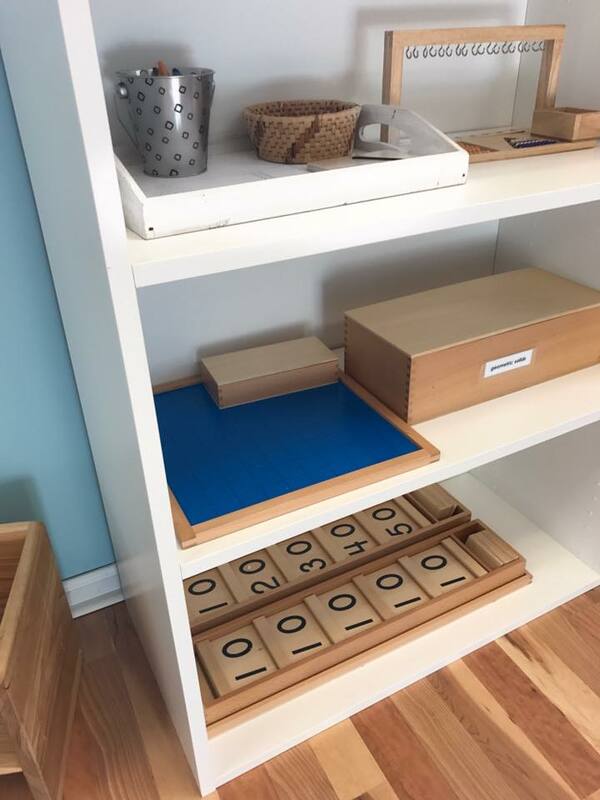 Here is our classroom math shelf for our 4 year old. 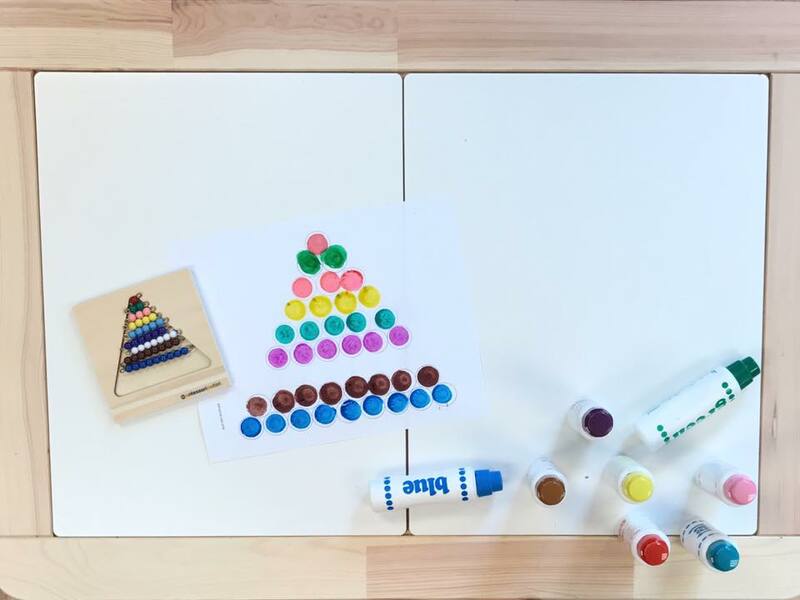 These materials are helping her step into the abstract world of math. 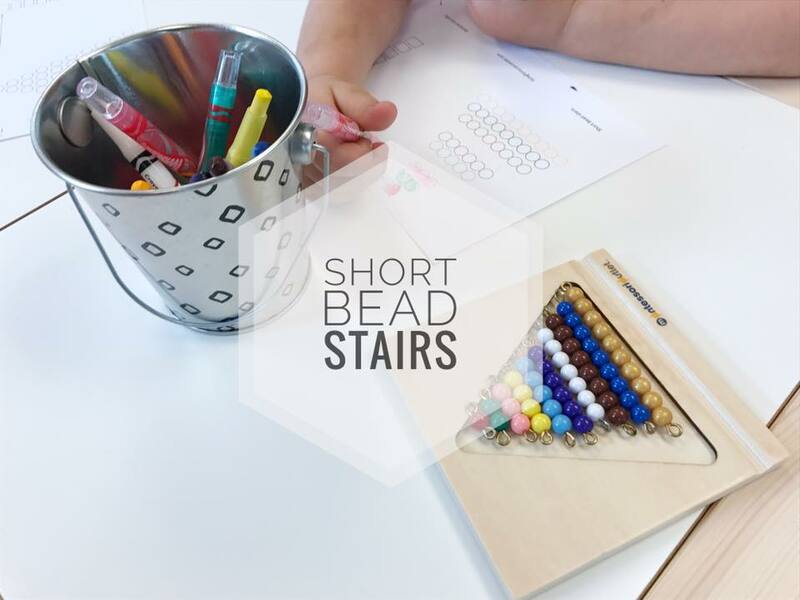 Today we're going to focus on how to use the short bead stairs. 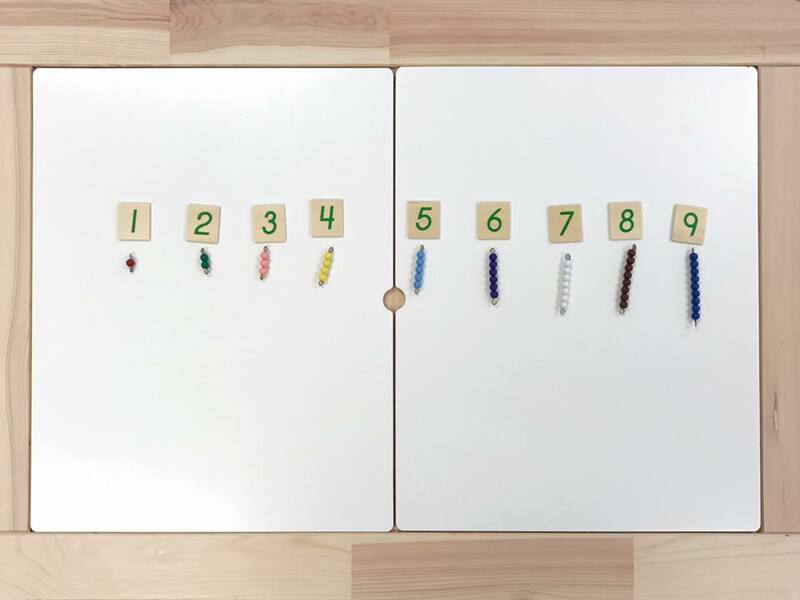 The first work is matching the number tiles with the correct colored beads. 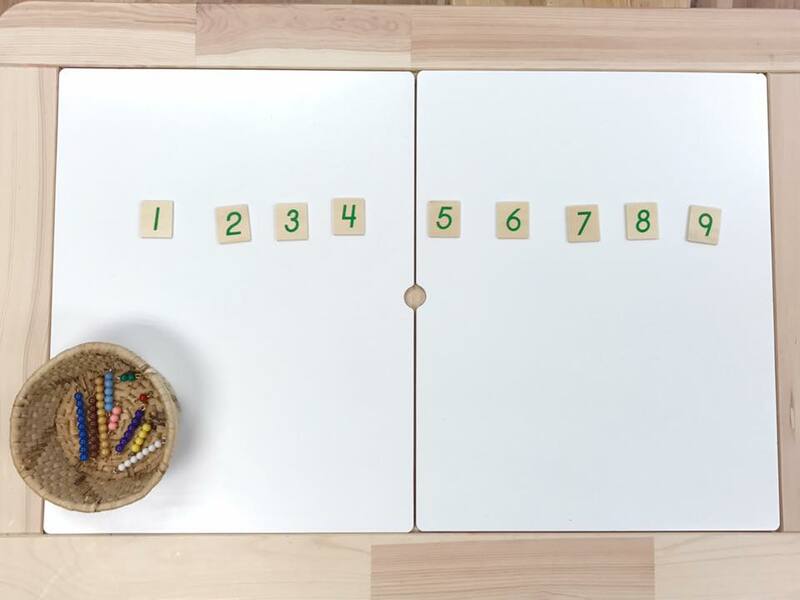 Lay out the number tiles like in the picture below. Count each colored bead by holding the end with a pincher grasp and with the other hand use your index finger to point and count out loud. Place the bead under the correct number tile. This work is self correcting. 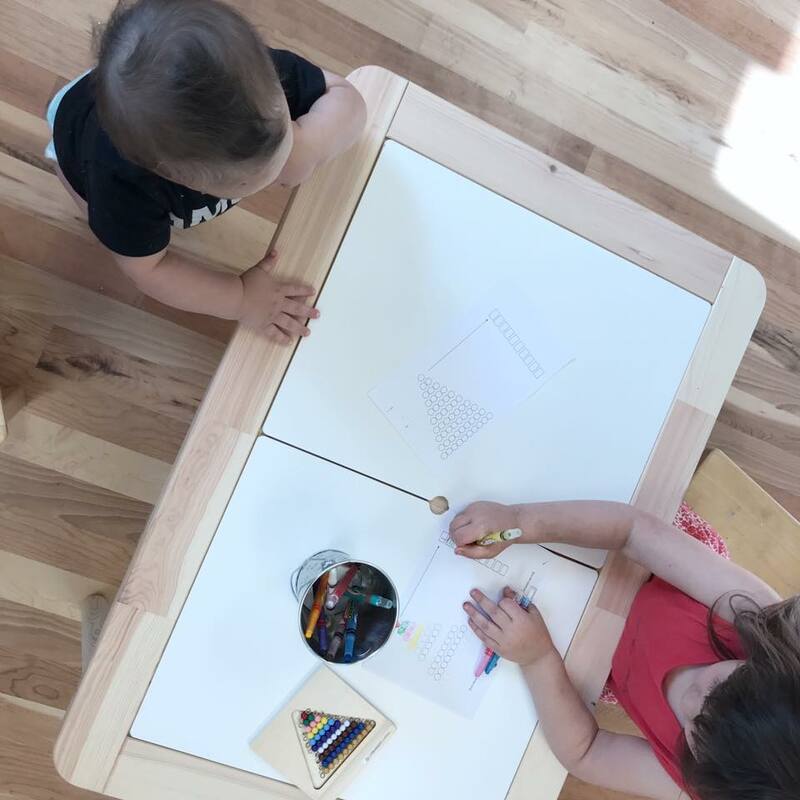 Once you have shown the work the child. He/she should be able to work on the work independently. Montessori colored math beads are one of my favorite materials in the classroom. All those beautiful colors! They help the child understand abstract math by having a hands on and visual material for them to work with. It is typically introduced around age 3 or 4 . The second work is the hanger for colored bead stairs. 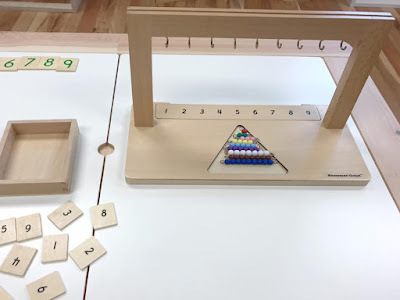 This work has both mathematics, fine motor, and sensorial skills. Placing the correct tile in order from 1 to 9 with the correct bead under it. It is self correcting with the removable number ruler on the bottom. The third work is forming the colored short bead stair on the tray. It is used for a control, to keep the beads organized, and not roll off the table while working. 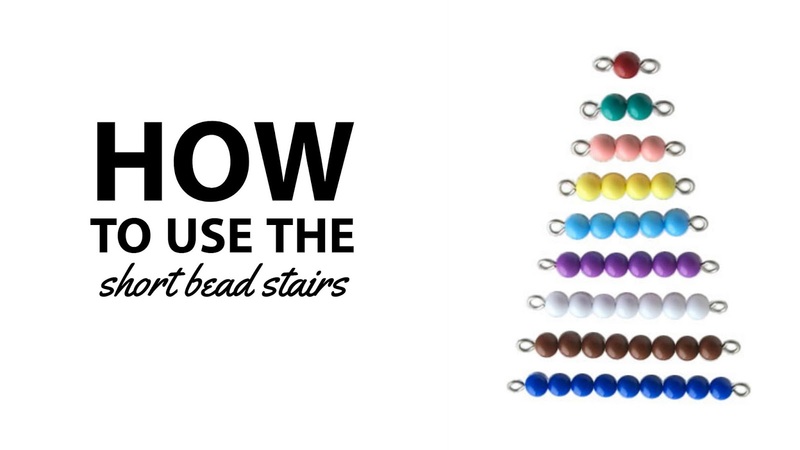 The fourth work is an extension work on the colored bead stairs. These printable worksheets are made to help the child remember the colors in relation to the number it represents. Beginning with dot markers for the little ones. - The first one has the correct colors outlined for a beginner to color in. - The other is outlined in black to challenge the child to color in the correct bead by using the bead stairs as the control. - Eventually the child will be able to fill in the correct written number in the small box provided.